TV and radio host, Gino Buccola, has been involved with sports and media for a vast majority of his life. 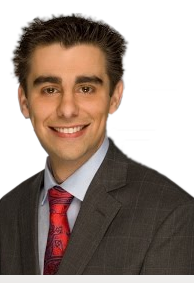 Gino rose to national prominence as an On-Air TV Host, Reporter, and Analyst at TVG Network. During his five plus years there, he covered a variety of daily horse racing events, as well as championship level races, from the U.S. and around the world. Prior to that, during his time attending Pasadena City College, he hosted a bi-weekly sports talk radio show. Since then, his extensive radio experience includes being a part of a Sunday morning radio show on AM 870 KLAA called “THE VIG” where insight and predictions for upcoming weekly NFL games were discussed. In addition to being a part of The Mike Abadir Show, Gino is often a regular guest on various sports radio shows and podcasts, and at one point, was the weekend host for the Elite Racing Network horse racing show. 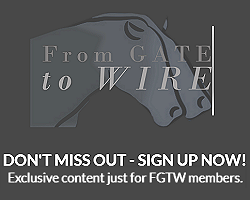 Gino currently is the Southern California Handicapper and Analyst for Brunowiththeworks.com. A Los Angeles native, Gino is a die-hard fan of the Lakers, Dodgers, and the USC Trojans.